Super Smash Bros. for the Nintendo Wii U and 3DS both have had their fair share of leaks in the past couple of weeks as the release date for both versions near. 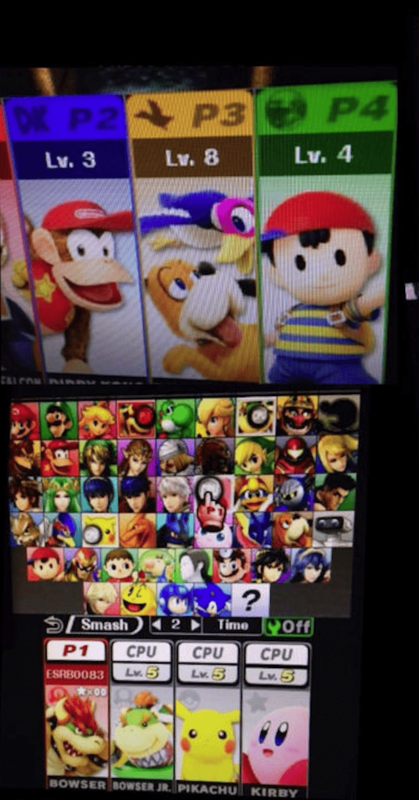 Earlier today (August 25, 2014) convincing videos leaked revealing what appears to be the full character roster for the upcoming title. The leak comes just two months before the 3DS release on October 3, 2014 and a few months before the Holiday release of the Wii U version. The newest characters revealed in the supposed leak are Bowser Jr., Shulk from Xenoblade, Ness, R.O.B., and the dog from Duck Hunt (which would be fantastic in my opinion, I loved Duck Hunt as a kid). A few short videos show Bowser Jr. in action but as stated this has not been confirmed by Nintendo as actual gameplay footage. Tell us what you think about the leak! What characters are you looking forward to? Update: The leaked videos of gameplay have been taken down by YouTube. You can still see the leaked photos of the roster below.